Jaxen age 9 Jaxen is nine years old. Jaxen is so affectionate. He is always hugging me, which I am so grateful for, he makes me feel so loved and appreciated. He has a giant heart and is very empathetic. He is so helpful in caring for his little brother and sister. He is protective and kind. He is funny, smart and very matter of fact. He is fun and has a contagious laugh! He loves fishing, canoeing, playing soccer, swimming, video games, sledding, loves the snow, RC racing, fast Cars, likes helping his dad fix things, camping, building legos, watching the food network and funniest home videos. He is so responsible and wants to help others. I am so lucky to be his Mom; he is one of my heroes. He has been through so much and keeps going! He has spent a significant amount of time in the hospital over the last 9 years. 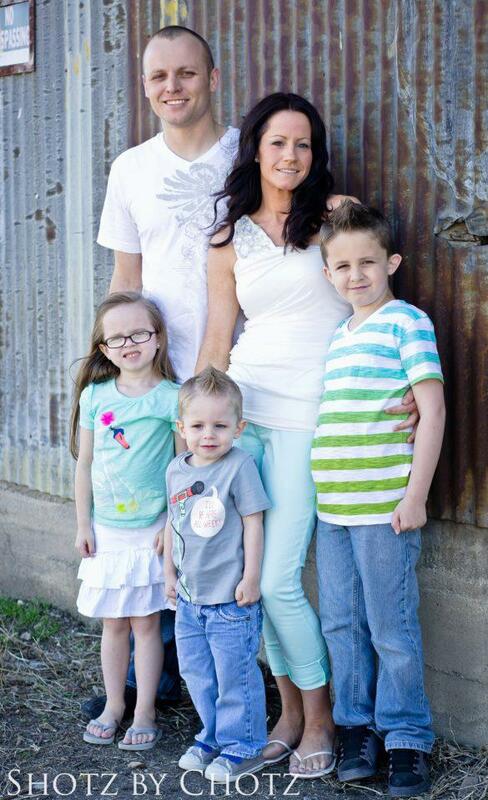 Jaxen has had many health issues since he was born. He was induced at 35 wks, due to my preeclampsia. He had difficulty breathing at first but not soon after seemed ok. Initially most of Jaxen’s issues were GI related, speech delay, sensory issues, food allergy and intolerance, outdoor allergy, asthma but, things have continued to progress and progress. Jaxen has been diagnosed with multiple conditions but there is a significant void in treatment due to the undiagnosed portion of his health. Our Doctors don’t have many options without the testing we need. His undiagnosed issues range from a definite motility disorder , muscle and joint pain, muscle weakness, severe migraines, an aero digestive disorder of some kind, hyper mobil joints, possible CTD. He has a hard time with many medications and surgery has been very risky due to his airway collapses in recovery. Each one has been difficult for him to recover from. He see’s many different specialists and has been diagnosed with asthma, food, pet and environmental allergies, Eosiniphilic Gastroenteritis, Gerd (Gastroesophageal reflux disease), LPR (Laryngopharyngeal reflux), Bradycardia, Organic sleep disorder, Obstructive and central sleep apnea, Generalized Seizure disorder, Arachnoid brain cyst, dysphagia, alchalsaia, Sensory Processing Disorder, and PTSD. 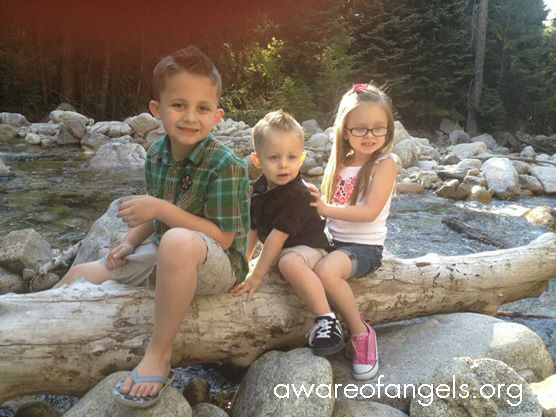 Jaxen has had many surgeries such as Myringotomy, Tonsil and Adenoidectomy, Two Uvulopalatopharyngoplasty’s, Uvulectomy,Gastrostomy Tube Placement, Tongue Coblation Surgery, and Specialized Dental surgeries. Many times he has complications of surgery due to his medical conditions. We are currently waiting for genetic testing to hopefully determine the cause of many of his health issues. There are still a lot of unanswered questions. Jaxen gets most of his nutrition through his Gtube in his stomach, and receives night time oxygen regularly. There are testing and treatments that currently our insurance will not cover. They will not cover the cost of elemental formula which for all three kids is just under $5,000.00 a month. We have very little (if any) coverage for feeding, occupational therapy which Jaxen and siblings need extensive therapy for. They have declined genetic testing multiple times as well along with different medications and treatment at facilities out of state with expertise in the specialties and care we need most. He is highly allergic to all outdoor/environmental and pet allergens, Milk, Corn, potato, and beef. Tieler age 7 Born in 2007, Tieler was a tiny 5lb 2 oz baby who seemed healthy until we took her home. Tieler would vomit everything she ate and cry in pain 24 hours a day. She was not growing and constantly very sick. She was hospitalized 4 times in her first five months of life. During her 4th extended stay at the hospital, she almost received a feeding tube when they discovered her severe life threatening allergies. We were basically poisoning her when we fed her, due to her allergies of wheat, milk, egg, and nuts. She had also contracted a nasty virus in the hospital called C-diff that was making her very ill. Once we knew Tieler was severely allergic to many foods we put her on an expensive elemental formula and she was finally released from a 14 day stint in the hospital. Tieler was a whopping 9 lbs 1 ounce on her release at 5.5 months of age. She has always been our tiny princess. Tieler had been through so much at such a young age that she was very delayed physically. She started receiving physical therapy and she could finally sit at 12 months of age and walked at 20 months. She also has had occupational and speech therapy to catch her up with her peers. She has always been considered failure to thrive and was delayed at hitting every milestone. 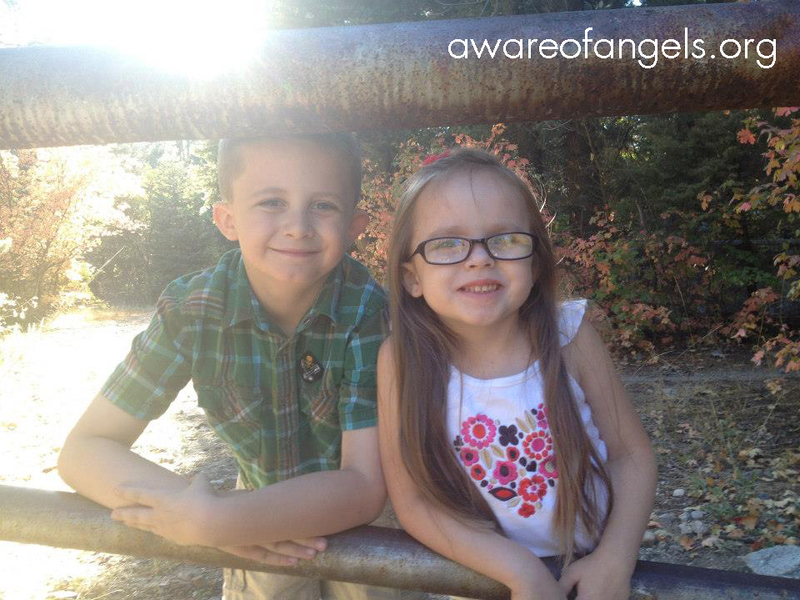 She has had 2 major seizures that the cause of is unknown and a history of possible absent seizures. She was diagnosed at the age of two with asthma and gained her fifth hospitalization, and spent a week at home on oxygen. She has had extensive allergy testing every three months for her entire life. Tieler’s testing has turned up more questions than we have received answers for. 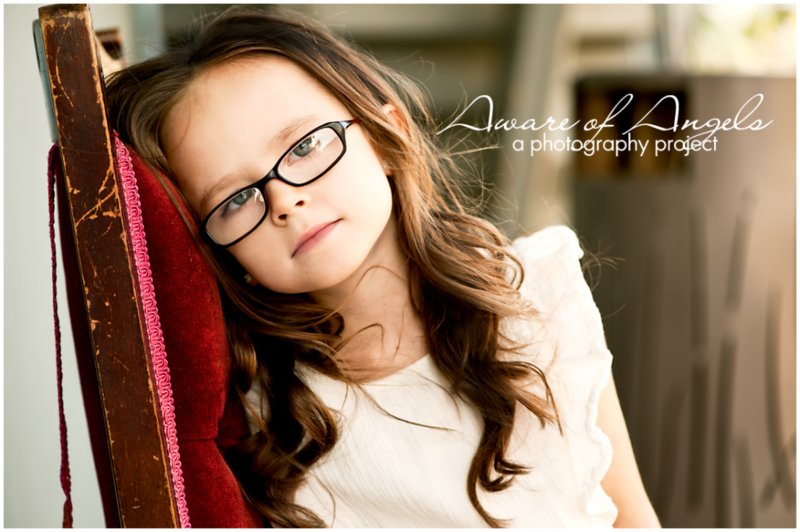 She was diagnosed along with Jaxen in 2010 with EGID in her esophagus. (Eosiniphilic Esophagitis) Tieler’s esophagus was full of eosiniphils, damage and scarring, even though she has been on strict allergy diets since she was born. Tieler has many anaphylactic allergies and after blood testing we learned that Tielers immune system attacks her own body with just about everything she can put in it. We have now chosen a few foods with the least allergic response and a 90% elemental formula diet. Her vision is extremely impaired as she is near blindness without her glasses. She has a carnatine deficiency, without a known cause, her bone growth is advanced, and she has been losing weight the last year (even though she is meeting caloric needs) and we do not know why. She is 7 and just 38 lbs. She has new skin lesions that hurt and do not heal, her skins sloughs off, mostly on the legs and arms, She throat clears constantly like her brother now and has trouble sleeping. She has a chest wall, trunk deformity, hypotonia and extremely hyper mobil joints. So, she is still in physical therapy which has been helpful but can’t run and play as long or as hard as most seven year olds as she experiences severe leg muscle pains, her joints slip out of place and tires easily. Tieler has not had it easy. She is not like any other little girl I know. Her innocence has given her strength in that she doesn’t seem to realize how different and special she is. There is much to be learned of her conditions and we continue to see many specialists for clarification through testing. Tieler has been hospitalized 7 times for extended stays at Primary Children’s Medical Center, but there multiple times a week for appointments, procedures, bi weekly labs, and regular testing. She can’t attend regular school as we feel it is not safe for her because of the amount of food allergies and their severity. We are still looking for answers; Connective tissue disease is the current focus with Ehlors Danlos syndrome (EDS) at the top of the list. EDS is commonly diagnosed with eosiniphilic disorders as well. We need to know what type of EDS they have as there are multiple types with different serious conditions and require monitoring and treatment. We have hope that soon we will know more about her conditions to normalize her life just a little. ANA: Egg, Milk, Peanut, cashew, pistachio, pecan, sunflower seed, sesame seed, walnut, shellfish Allergies: Egg, Milk, peanut, almond, pecan, hazelnut, pistachio, cashew, walnut, oranges, pears, apricot, watermelon, onion, chicken, lamb, Turkey, soybean, broccoli, oats, rye, fish, cat, dog, horse, rabbit, mugwort, ragweed, pigweed, timothy grass, elm tree, oak tree, Bermuda grass, mouse epi, barley. Tieler is our sunshine; she is our performer, singer, dancer, and artist. She is very sensitive and doesn’t have a mean bone in her body. She is so positive, with all she has been through she still keeps smile on her face! She is the easiest child to please and hates to see anyone sad. Tieler loves singing so much she “singtalks”, where all her talking will be singing for a whole day. She makes life feel like a musical! She can go through a few hundred pieces of paper a week because she loves to color, draw, design dresses, paint, and cut and tape things together. She like barbie’s, her American girl dolls, playing dress up, lego’s, and swimming. She is such a fighter. She may be small but her heart and spirit are giant. Boston age 4 Boston is 4 years old. After having two kids with so many health issues I felt like I could not bare having another child who might possibly have to go through what Jaxen and Tieler had been through. But I got pregnant with an IUD and we had Boston! Boston was our biggest baby at 6 pounds 8 ounces. He was healthy, slept through the night and was happy as could be. We instantly noticed something wasn’t right when he would choke over and over again. Boston was diagnosed with silent reflux and tested for allergies at 3 months old. He was positive for milk and eggs. We put Boston on the same elemental baby formula Tieler was on and he did well. He grew and was mostly healthy. 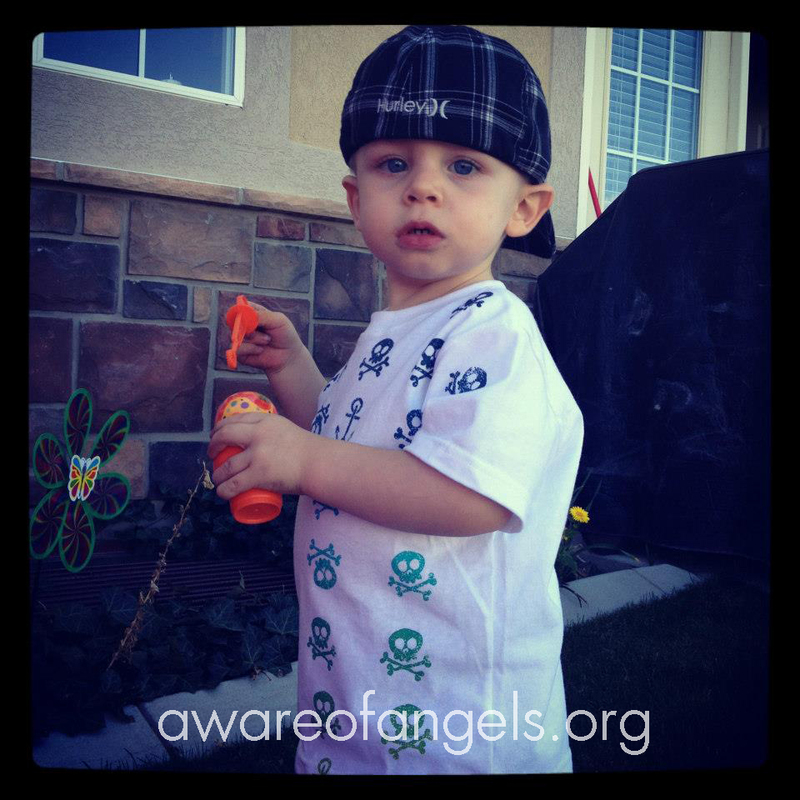 Boston had RSV at 9 months old and was also diagnosed with Asthma. 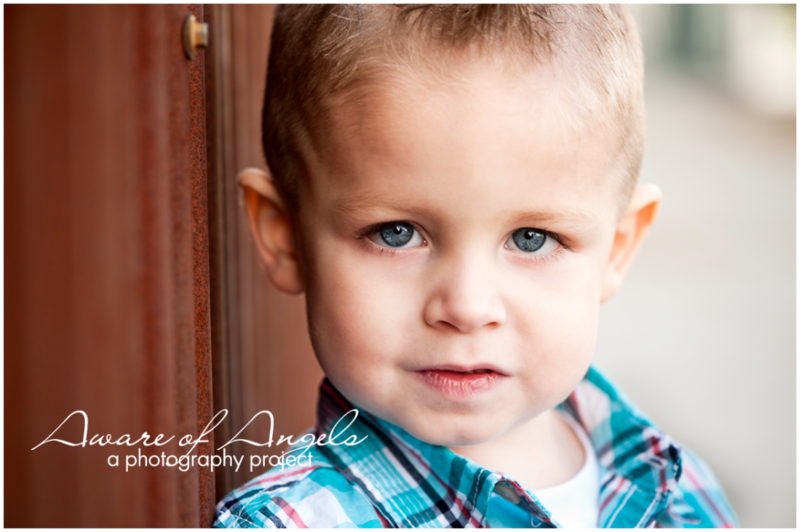 Like Jaxen he had multiple ear infections and received tubes at the same age his big brother did at 11 months. 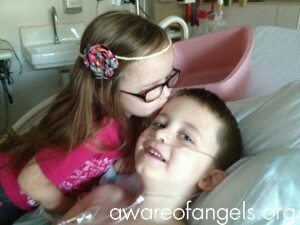 He was scoped soon after to determine if he had the same horrible disease his siblings had. Boston had a bad case of esophagitis but no eosiniphils! 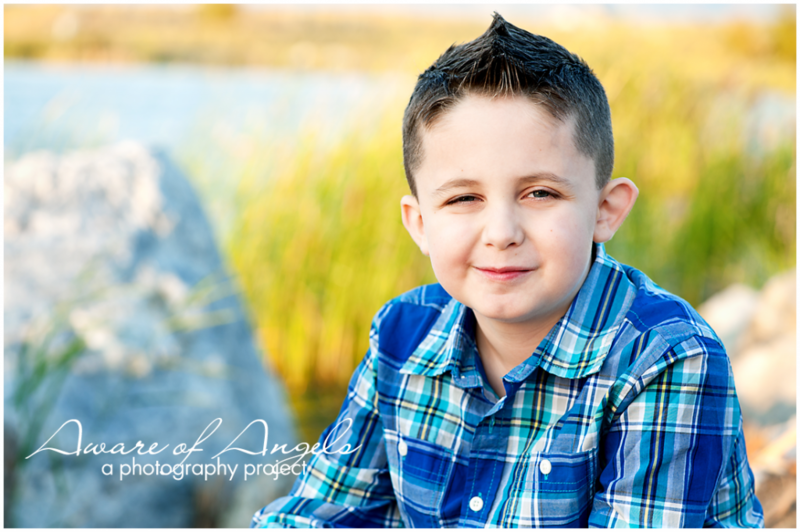 We were happy but still unsure as his list of food allergies grew with tri monthly testing. At the time of his first scope he was eating a few fruit and veggie baby foods and elemental formula so we knew there was a chance the disease could expose itself after he got older and ate more of a variety of foods. As Boston got older we began to see that he was refusing a significant amount of foods. He would not eat anything crunchy or hard just soft sweet foods like fruit and yogurt. Not long before the beginning of 2012 Boston had his adenoids removed for obstructive sleep apnea as well. After his surgery and bout of pneumonia, Boston had not grown in 8 months and had lost some weight. Our gastroenterologist recommended we scope again to look for the eosinphilic disorder. This time she came out immediately following his endoscopy to tell me that his esophagus looked bad and he did indeed have Eosiniphilic esophagitis. Before creating a treatment plan she had Boston get a more extended list of food allergy testing done to find the cause of his eosiniphil production. For our family we have been able to base their treatment of their skin testing but for 50% of people who suffer from this disease skin testing is not accurate or is negative and they must find each allergen by performing multiple endoscopies. Boston is like the other 50% go figure- LOL. He is starting new, from square one. We will be treating his disease completely differently from his siblings as we will follow his skin testing and trial and error testing through endoscopy. Boston also has had terrible problems with his sinuses, and esophagus. He has now had a FESS, sinus surgery with a turbinate reduction and tube and granulation removal and patches placed. He has dealt with chronic rhinosinusitis with literally constant sinus infections the last 18 months. He is still having issues but we’re hoping the farther out we get from surgery the better it will be. Boston has dysphagia, and has lost the peristalsis in the esophagus. 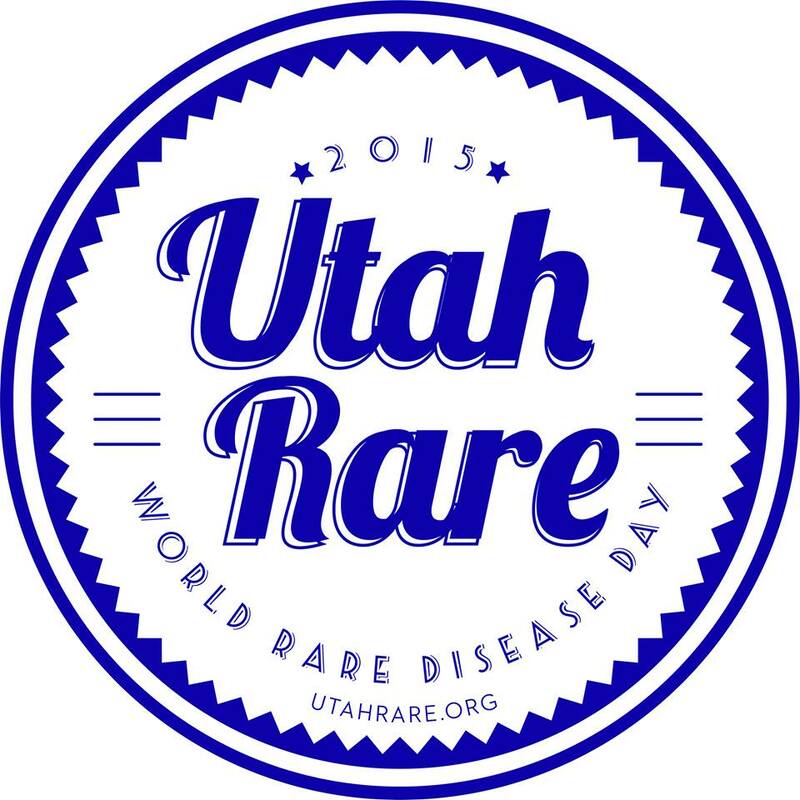 We do not know why, along with motility disorder/aerodigestive disease, this is part of the undiagnosed portion each child has in common. He has difficulty swallowing and chokes very easily. The end result is usually vomiting. He has hyper mobil joints and also experiences muscle pain and weakness. Bostons Diagnoses’: GERD, Eosinophilic esophagitis, sleep apnea, Asthma, chronic rhino sinusitis, sensory processing disorder, speech delay, tongue thrust, dysphagia, and esophageal achalasia, and an unknown motility disorder and aero digestive disorder. Anaphylactic Allergies: Egg, Nuts, Tree nuts, Allergies: Milk, Rice, tomato All pets and environmental allergies. Boston handles pain too well, and his treatments. I am so thankful that even though Boston was a surprise and we were done having kids I know god knew I needed this snuggly boy desperately. I am so grateful he had a different plan for us and knew Boston was a part of it. He has brought so much joy to me and Gary. Boston’s favorite things to do are whatever Jaxen and Tieler are doing; he wants to be just like them and enjoys playing with them most. He has a great imagination, loves to ninja fight, play GI Joes, Legos, and swim. He loves to snuggle and watch movies, play video games and build forts. Boston loves bugs, He calls them his friends and likes to pick them up and bring them inside in his insect carrier. He likes to color with Tieler and have Nerf battles in the back yard with Jaxen.